Wood grips came in today. Much better! Ruger .45 commander with some SS parts swaps and new grips. This was todays project. Hand fit a new barrel bushing. Fit up n ignition control package from a Dan Wesson of mine that I up-grade. The parts are forged with a true radius sear so it was a stellar improvement over the MIM factory parts. Magwell fit nicely and polished all the internals. its sweet. 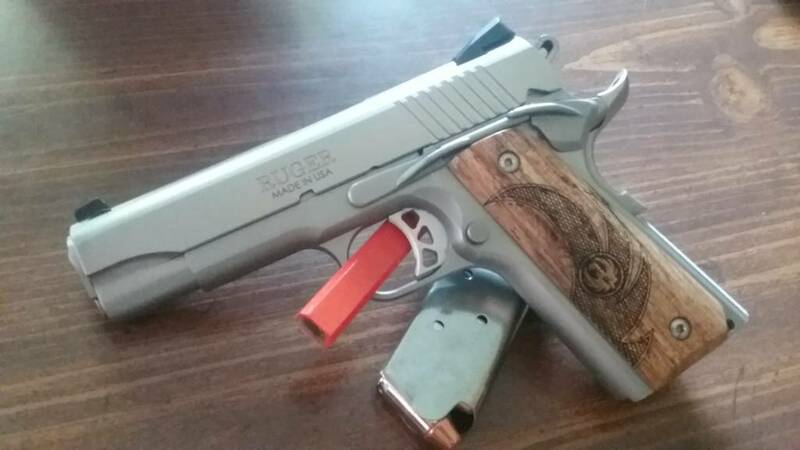 different than a traditional 1911, but sweet. That is a beautiful-looking gun, and the magwell just blends perfectly with the grip. Nice work! I'm sure she shoots as good as she looks!